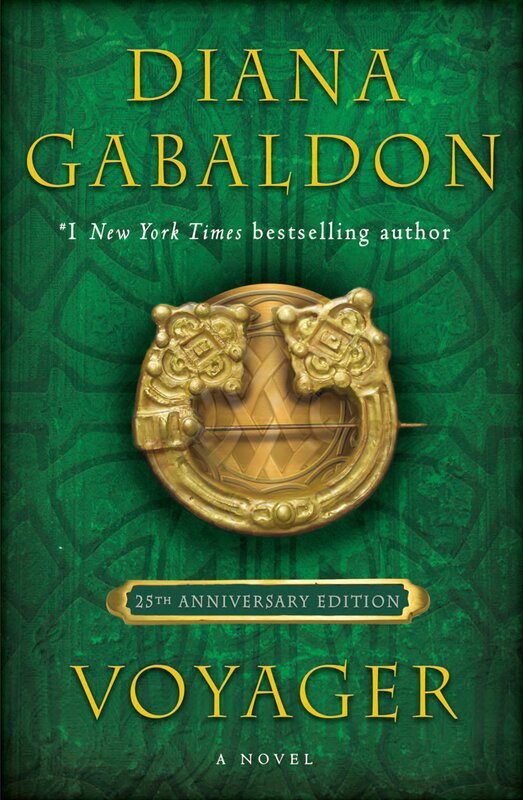 Are you fascinated by the details of 18th-century life that Diana Gabaldon describes in her books? 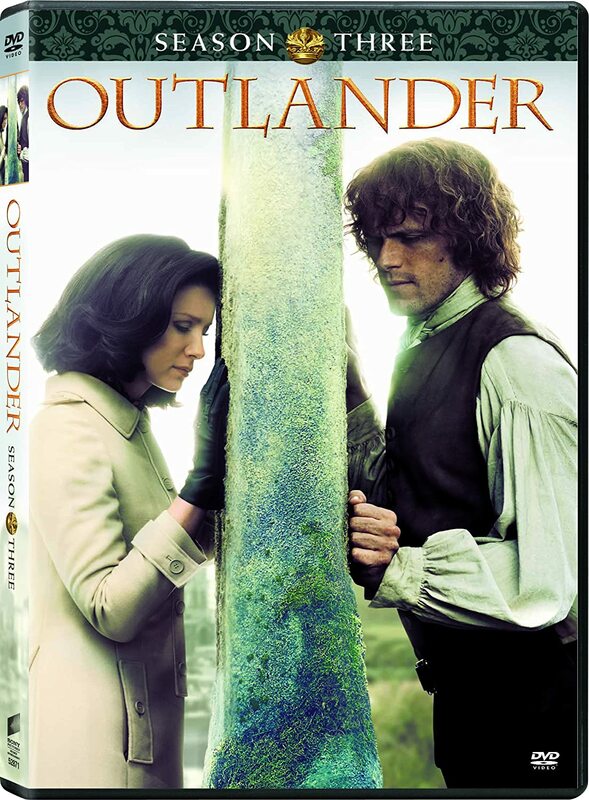 Have you ever wondered what it would be like to travel back in time and live the way the people at Lallybroch or on Fraser's Ridge would have lived? 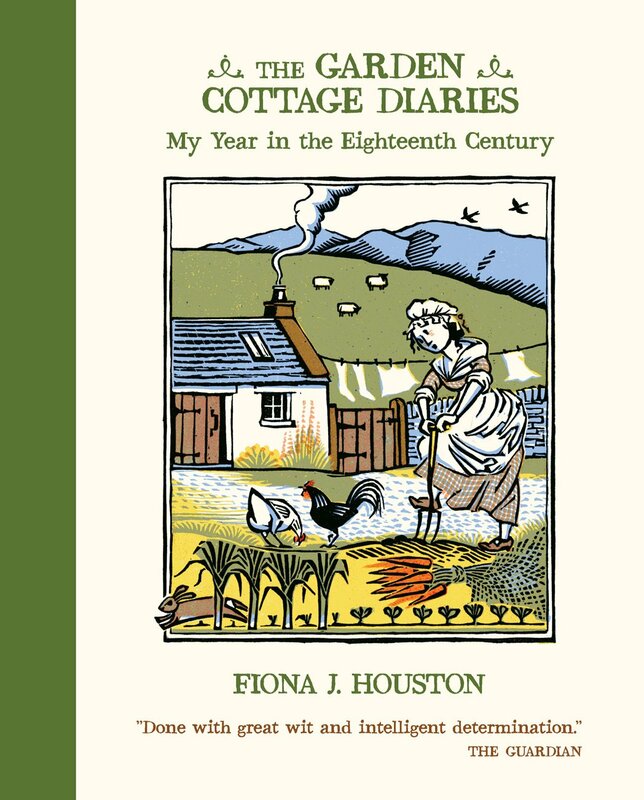 Challenged to prove her claim that an 18th-century diet was better than today's, for a full year Fiona J. Houston recreated the lifestyle of her 1790s rural Scottish ancestors in a basic one-roomed cottage, cooking from her garden and the wild, often entertaining family and friends, and surviving on her own resources. She learned lost crafts and skills, making nettle string, quill pens and ink as well as cheese and ale, lighting her fire from flints, and dressing in hand-sewn period clothing, with nothing but an old range stove and candles for warmth and light. This beautiful, quirky, illustrated title tells her extraordinary story and is packed with historical anecdotes, folklore, practical gardening info, seasonal menus, recipes, wildlife notes and more. 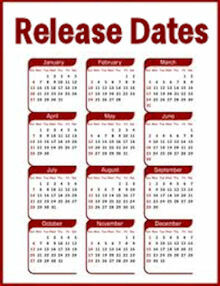 Includes linocuts, photos and historic engravings. If you've ever wondered how people coped with the mundane tasks of daily life in the 18th century, you'll find it in this book. Everything from doing the laundry, to making candles, to the best method for airing out a wool-stuffed mattress, to cooking bannocks on a girdle over the fire, and much, much more! Houston handles the challenges of 18th-century life very well, for the most part, though she occasionally "cheats", taking advantage of modern forms of transportation to visit family or friends elsewhere in the UK, for example. At one point, overcome with frustration when her freshly washed sheets became soiled while hanging on a line to dry, she takes them back to her 21st century house to run through the washing machine. I can't really say I blame her for that -- the temptation must have been too much to resist -- but I admit I was a bit disappointed on the rare occasions when she confesses to using some item of modern technology. Thanks very much to MC on Compuserve for telling me about the book! Oooh! This book sounds verra interesting! 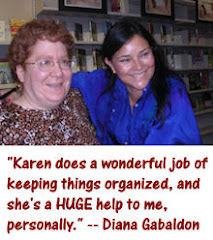 Thanks Karen for posting!